Houseplants can change your home’s atmosphere in more ways than one! Choosing houseplants that produce the most oxygen can greatly help improve your indoor air quality. We all rely on plants to create breathable air. Our lungs breathe the oxygen that plants produce from carbon dioxide. Through photosynthesis, plants make our atmosphere livable. By adding plants to your home, you can get health benefits from the air in your living space! What can a houseplant do for my air? The mix of oxygen and carbon dioxide can become imbalanced in an enclosed space like a home or office. The right indoor plants can help restore this balance. Many houseplants also clean the air by removing toxins. This is a more natural way to clean your air than an air purifier. Of course, you get the added bonus of more plants to look at! There are also some other incredible ways plants help humans clean our planet. Read about the floating hook moss’ amazing ability to clean up arsenic. Boston fern plants make it easy to add an explosion of green to any room. Their bright fronds do more than just draw the eye. 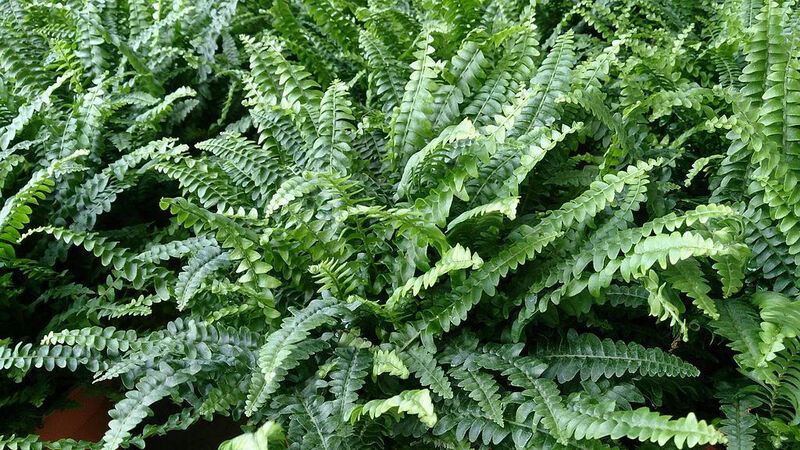 This fern improves the air beyond simply enriching it with oxygen. It is the most effective plant at removing formaldehyde from the air. These powers of purification will help keep everyone in your home healthy. Growing Boston ferns requires plenty of water. Plant them in a soil high in peat moss to keep them wet. Depending on your climate, they may also need to be misted once or twice a week. 2. 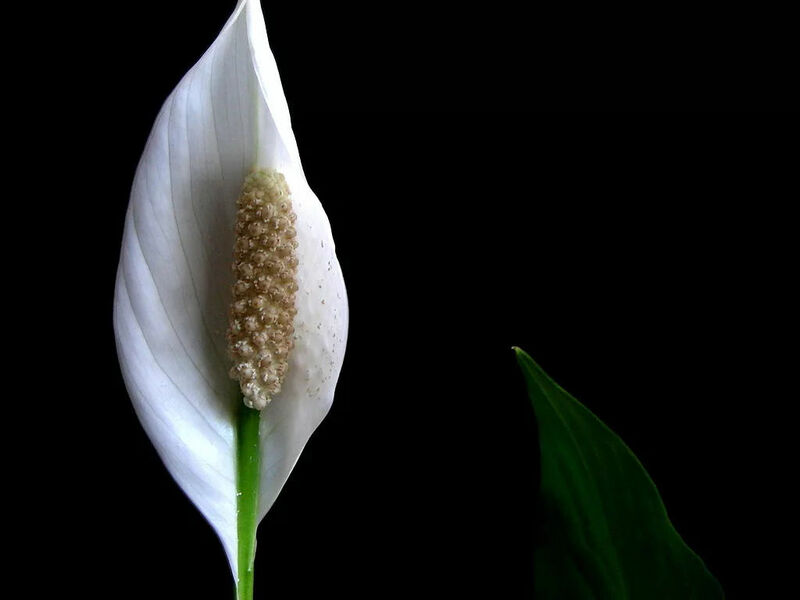 Peace Lily – Spathiphyllum spp. Peace lilies have a unique, striking white flower that draws the eye. In addition to looking beautiful, peace lilies can improve your home by providing clean, oxygen-rich air. Peace lilies are great at removing air pollutants. NASA research showed that peace lilies effectively removed benzene and trichloroethylene. These two pollutants are common in homes and offices. Peace lilies should be planted in well-draining soil. They like a lot of moisture and indirect light. Keep them in a warm, slightly shady place. Read more about caring for your peace lily here. Warning! Peace lilies are poisonous and should be kept away from pets and small children. Snake plant is a very popular houseplant in the asparagus family. It goes by many names, including mother-in-law’s tongue and viper’s bowstring hemp. 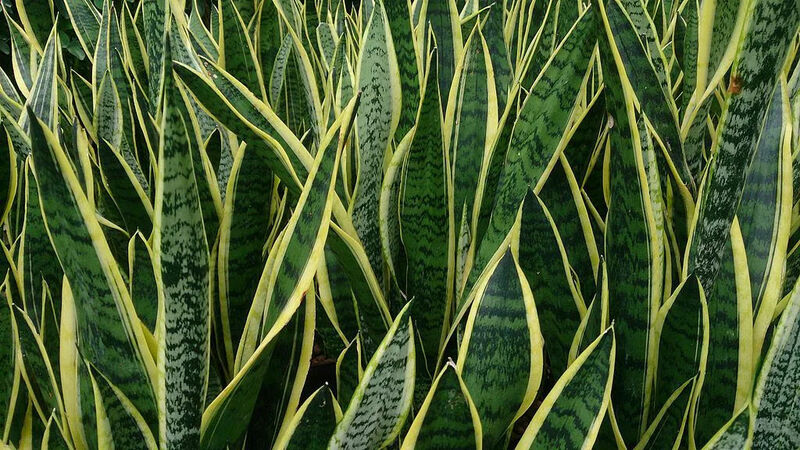 There are many varieties of snake plant with unique and beautiful patterns on their leaves. They combine dark green, yellow and other hues into a beautiful canvas of fresh colors and patterns. Snake plant is very effective at producing oxygen and removing toxins from the air. NASA research has shown snake plant is effective at removing formaldehyde, trichloroethylene, xylene, toluene, and benzene from the air. These pollutants can all accumulate in enclosed buildings. Snake plant does most of its breathing at night. Keeping this plant in your bedroom will help keep your air fresh all night long. Snake plant is popular in part because it is a very easy houseplant to take care of. They can be ignored for weeks without even drooping. They prefer dry soil and should be watered infrequently to prevent rot. Areca palms are beautiful, tropical trees that can liven up any room. Areca palm fronds are broad and elegant, and also happen to be great at producing oxygen! 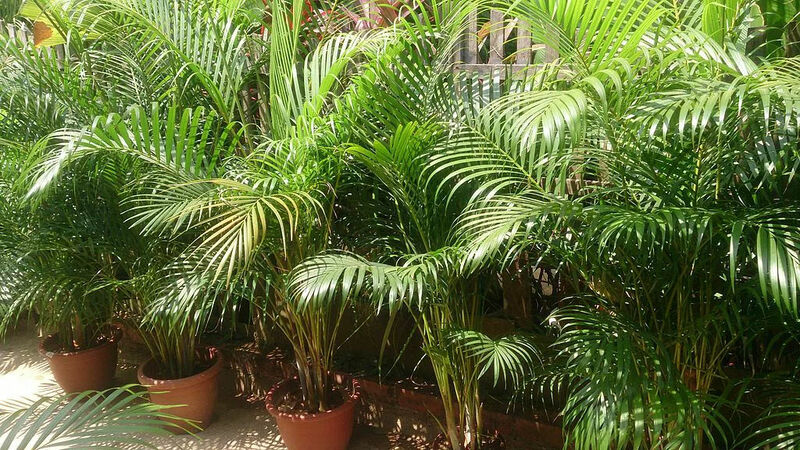 In addition, the areca palm absorbs pollutants such as formaldehyde, xylene, and toluene. Areca palms can grow up to 7 feet tall and live up to 10 years. Though a mature areca palm could cost you a pretty penny, they grow quickly from small plants. Keep your areca palm in indirect sunlight and it will gain 6-10 inches a year. They need plenty of fertilizer and water, so make sure to feed your palm regularly. These beautiful flowers come in many striking colors. The right variety can easily be found to accent any room. Broad, green leaves frame their bright blooms. Gerber daisies are more than just pretty flowers. They are great at producing oxygen and cleaning the air. 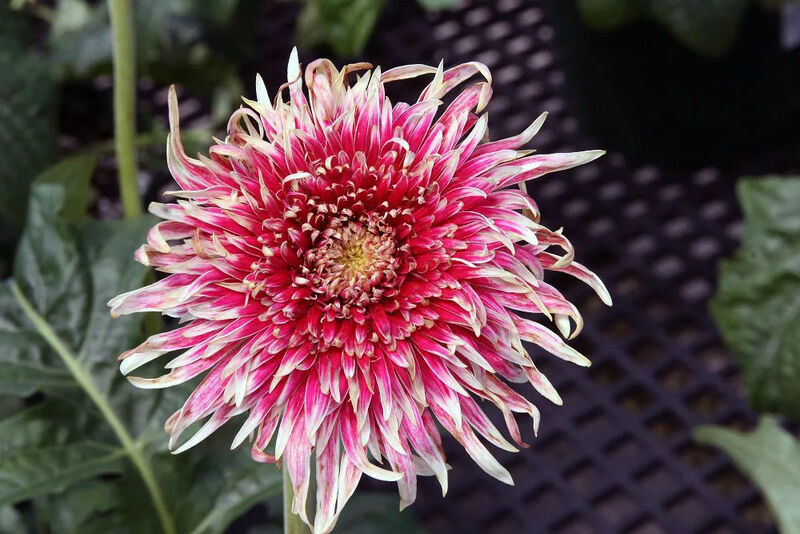 A gerber daisy can remove benzene, formaldehyde, and trichloroethylene from your house. If you have a sunny, south-facing window, your gerber daisy will thrive. They should be kept in bright light and moist soil. Don’t allow the soil to dry between waterings. Make sure they get plenty of sunlight and you will be sure to have clean air and beautiful flowers. If you don’t have a good window to grow these plants in, take a look at this list of houseplants for dark rooms. And don’t let these lists limit you…any houseplant is better than no houseplant for your indoor air quality! Thanks for the tip, Jamie!